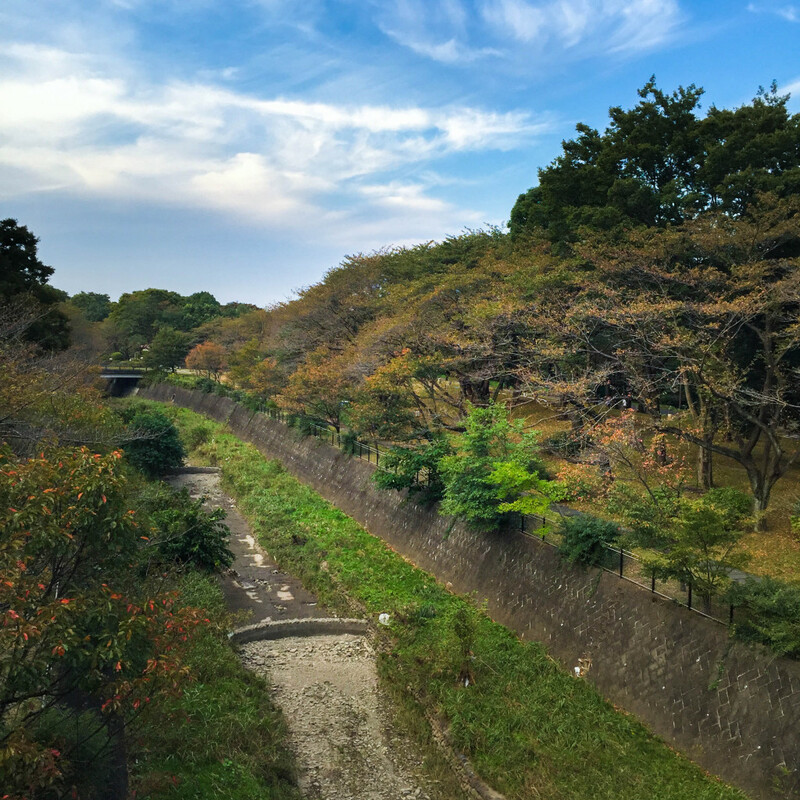 The Showa Memorial Park 昭和記念公園 located in Tachikawa, which is about 60 minutes from Tokyo Station, is a massive park that is very popular in spring and autumn. The park has gorgeous flowers particularly sakura (cherry flower), tulips, and poppies in spring and vibrant fall colors. As of today, the park has already started to show autumn colors, although still at the very early stage. The cherry trees have turned orange while some of the maple trees are starting to turn orange and the ginkgo trees are already showing some yellow. Cherry trees along the dry canal.